Musical Theatre Day Camps at The Stage are an exciting and engaging activity for your child during Spring Break. Each week, students will participate in creating a musical theatre production; classes include singing, dancing and acting, as well as costume, set and props design and production. 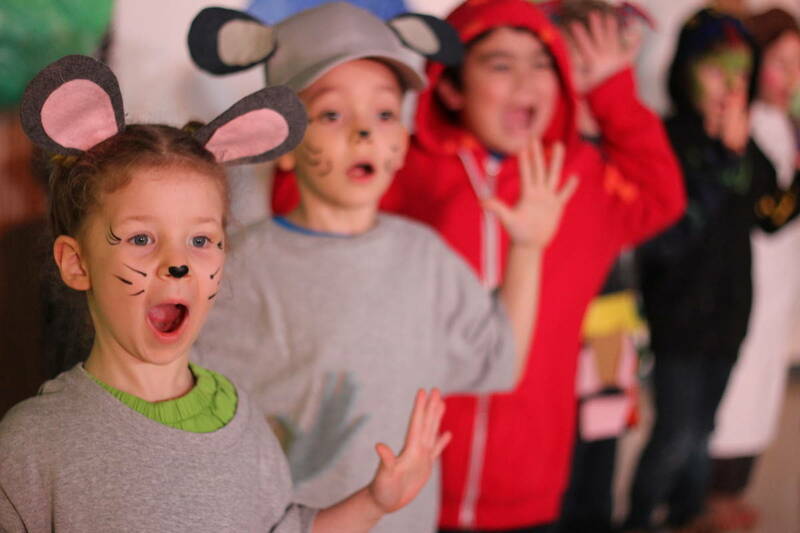 Our Day Camps are a great way for children to try out theatre without having to commit to a longer course. If your child loves playing dress up and make believe, creates skits for Grandma and Grandpa to watch in the living room, or is simply looking for a new experience, this course is for you! Because we believe in small class sizes and quality instruction, scripts are tailor-made for each class to best suit the individual needs of students, whether this is their first time on stage or they’re experienced thespians. For more info, visit our Spring Break Camp page. Announcing our 2017 Nearly Free Classes!